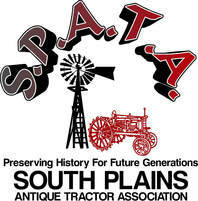 ​*The items listed on this page are not sponsored by the South Plains Antique Tractor Association (SPATA). This is a service provided by the club to connect buyers and sellers. The sale of any item is strictly between the buyer and seller. We are not responsible for any discrepancies in the information or pictures provided by the seller.